Our investment department, led by Daniel Capobasso has a proven track record of analysing, acquiring and disposing of commercial property investments for institutional clients, property companies and private investors throughout the UK with particular emphasis on the North East of England. Our most recent investment acquisitions and sales can be seen in the NEWS section of the website. It is also possible to subscribe to our investment mailing list HERE. We strive to build long term relationships with clients and help them develop a profitable portfolio through strategic investment acquisitions supported by proactive and effective property management. Unlike larger practices, at Johnson Tucker an investor benefits from the personal service provided by a close, balanced team all working in unison to pro-actively asset manage a client’s investment and increase returns. An example of services may include management (collection of rent and administering service charges) and lease advisory work (rent reviews, lease renewals and lease re-gears). Our residential expertise means we can also provide advice on mixed use investments too. Recent deals have included the sale of a Student Residential Investment in Newcastle City Centre for £3.8m for a property company and the acquisition of a new build multi-let retail parade for £1.85m comprising tenants Co-op, Greggs, Vets4Pets and Costa Coffee for a local individual. Daniel has successfully sourced and disposed of assets on behalf of a wide range of clients including Pension Funds, Property Companies and high net worth individuals. Recent examples include the purchase of a Multi let retail Investment comprising tenants such as Co-op, Vets4Pets, Costa and Greggs on behalf of a high net worth individual and the sale of a £4m Retail Warehouse Investment in Consett on behalf of a corporate client. Further details of recent acquisitions and disposals can be found on the ‘NEWS‘ section of the website. 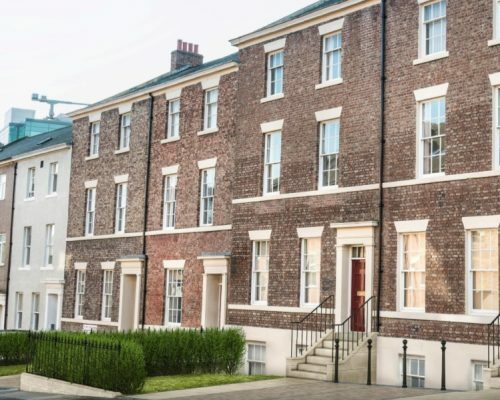 Daniel moved to Newcastle upon Tyne in 2004 and studied Mathematics and Statistics at Newcastle University, before completing a Masters Degree in Real Estate Management at Northumbria University.